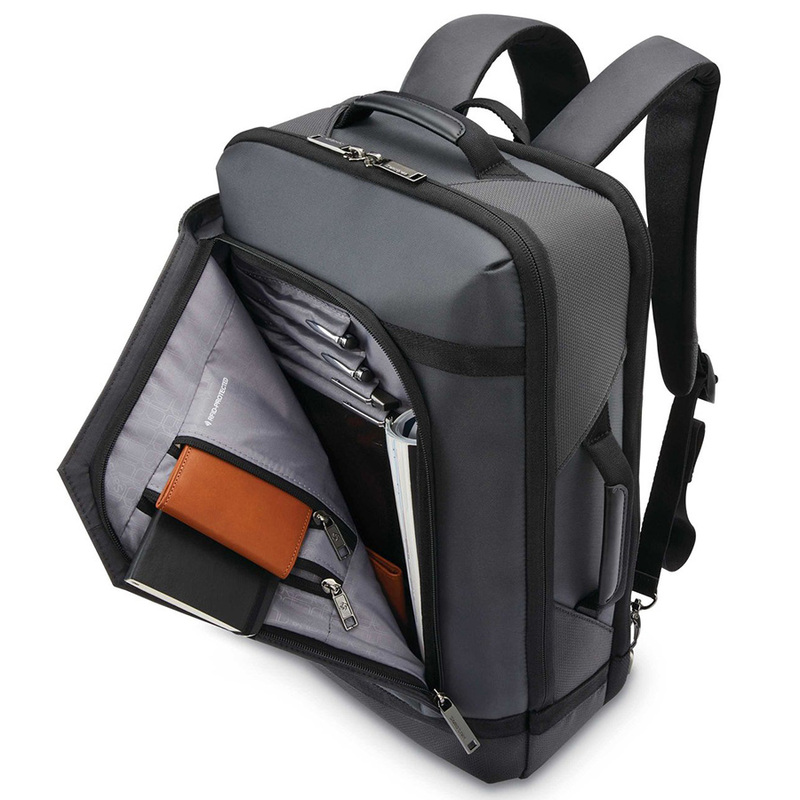 The Samsonite Encompass is a 4-in-1 bag that can be carried as a backpack, shoulder bag, crossbody and duffel. The backpack shoulder straps can be tucked in the back for an easy swap in the wya you carry. 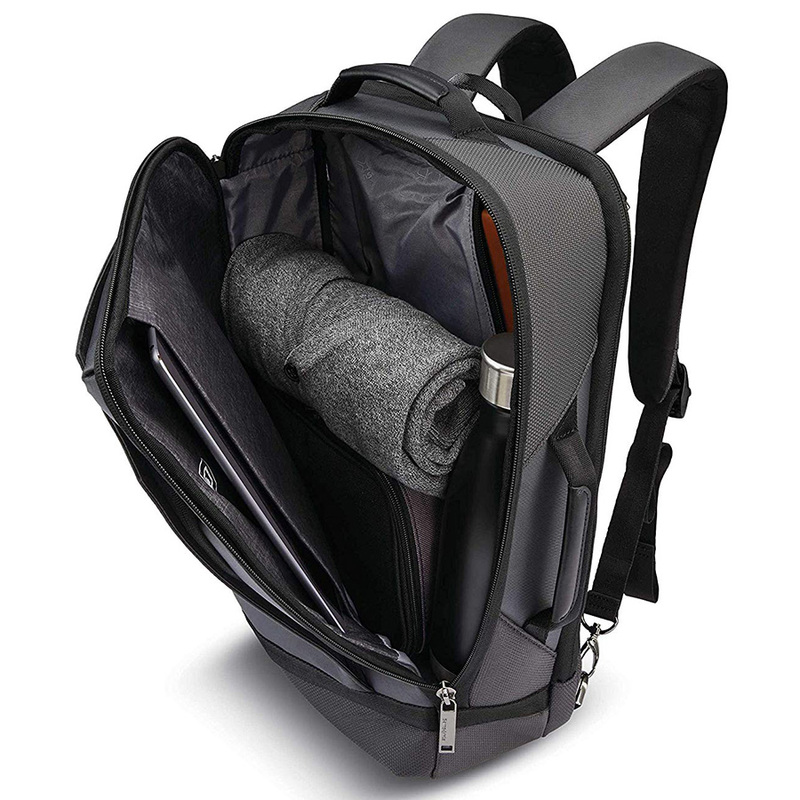 The main compartment is roomy enough to fit an overnight stay’s worth of clothing and personal items. 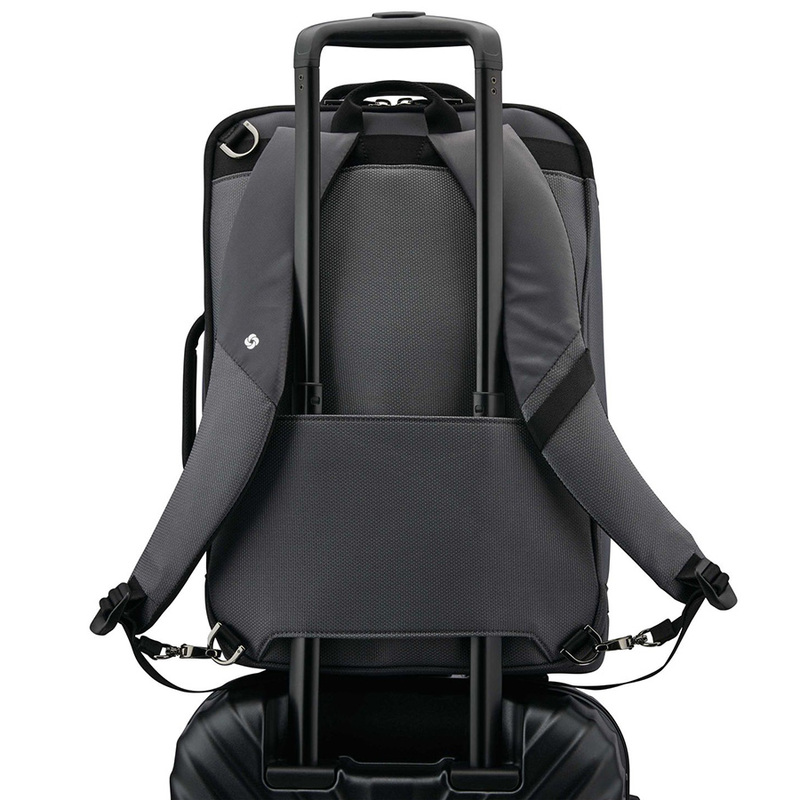 After all is said and done, the Samsonite Encompass Convertible backpack is an attractive, functional weekender for those who need a little bit more room than your standard laptop backpack. Front organizer panel is great for stashing smaller items. 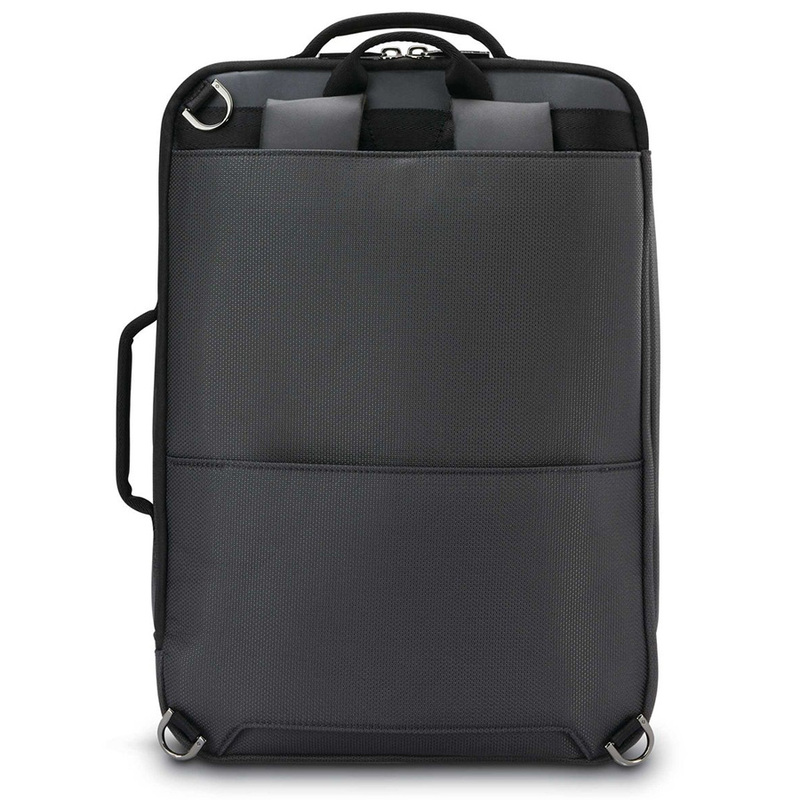 Laptop sleeve is in its own zipper compartment in the back to not disturb the main compartment. There is no clamshell (3/4) zipper access to the main compartment. One side of the main compartment does not zipper down at all. No side water bottle pockets. Tablet sleeve is inside of the main compartment instead of with the laptop sleeve zip compartment.